As global supply chains evolve to become increasingly integrated, government regulators and consumers are more concerned and aware of product safety issues. It is evident from the rising number of product recalls and government intervention particularly in the food, children products and automotive-related industries. The management of product recalls are further complicated by regulators, who in the name of adhering to safety guidelines, are given greater autonomy to intervene and impose product recalls. Coupled with developments in the social media sphere, consumers are able to get instantaneously access to information and news. This makes the management of product recall becomes more challenging and critical to an organisation’s survivability. The ability to execute recalls in a timely and coordinated manner is crucial in maintaining the organisation’s credibility. To do so, the company must be able to track the end-to-end product distribution. Timely communication and updates to inform or assist consumers’ enquiries should be provided. Below are some of the key action steps to take into consideration in developing a product recall plan for the organisation. The roles involved in a product recall and their responsibilities should be clearly identified and communicated. A recall crisis management team, comprising various functional heads, should be formed to make decisions on initiating product recalls based on information coming from credible sources. The organisation should appoint a recall coordinator, who is responsible for coordinating the collection and analysis of information and overseeing the complete execution of the product recall. The potential channels of incident notification and their respective points of contact in the organisation should be identified pre-crisis. Upon notification of a potential crisis, information should be escalated to the key stakeholders. In particular, customer-fronting and authorities handling functions should be informed and follow-up actions should be communicated to them. To aid information collection and gathering, it may be useful for a standardized questionnaire to be developed and distributed to various touchpoints. This will help ensure that relevant information is collected regardless of the input channel. Criteria for assessing organisational impact should be established. This would provide a reference for effective decision making. These criteria should take into consideration the type of defect, number of reported cases, the severity of symptoms, location spread, legal and regulatory implication. The potential financial impact and costs incurred from the follow-up actions (such as stop-sale, batch or full market recall) should be estimated to inform decision making. 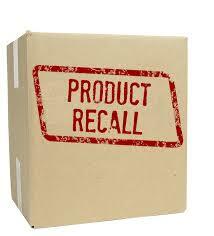 A clear and visible distribution network of products is key to a successful product recall. Information of the affected product or batch including description, brand, product code, batch number and date of manufacture should be provided to the retailers. These products should be clearly indicated and isolated from other stock to prevent distribution back into the market. Customer hotlines or various forms of communication channels including corporate website and social media accounts, should be established. To manage the expected influx of enquiries from the emergency hotlines, an emergency customer management team comprising staff from various functions could be identified pre-crisis. Customer handling procedures should include guidance on identifying affected products, the steps to return these products and the compensation in place for consumers. Messages should seek to disseminate factual information, while at the same time, calm, pacify and re-assure irate customers that the management is doing its best to resolve the situation. The organisation should explore possible strategies that could be implemented to rebuild the public confidence in the recall product. Such strategies may include the introduction of a new packaging to distinguish the old, potentially unsafe product from new batches that are certified safe for consumption. A company’s ability to conduct a timely and coordinated recall has a strong impact on consumers’ attitude on the brand. Although challenging, these considerations are necessary in ensuring an organisation’s recall preparedness and securing sustainable growth for the organisation in the long run. 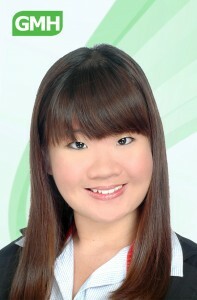 Kai Wei is currently an Associate Consultant for GMH Continuity Architects Singapore. She has assisted clients from both the public and private sectors in the implementation and maintenance of their Business Continuity Management framework and processes. With her BCM experience, she has helped clients successfully convert their existing BCM framework to align with the International Standard ISO22301 requirements. As an instructor with BCM Institute, Kai Wei has trained and facilitated BCM courses for professionals from diverse backgrounds and industries. Major European Bank Case Study Is Business Continuity Management one of the keys to Cybersecurity?